The city that has spawned so many outstanding players, the most notable in the modern era being three times World champion Wang Liqin; Shanghai followed by Taicang was the recent destination for Oceania’s most promising young players. 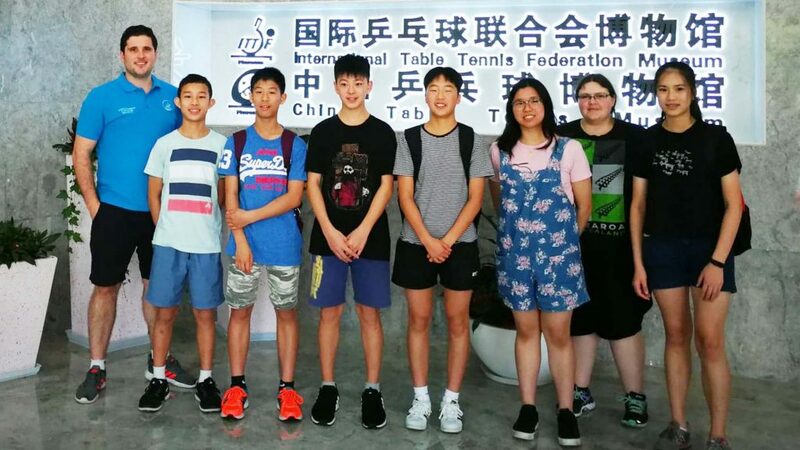 Led by Australia’s Patrick Wuertz, the ITTF-Oceania High Performance Officer with New Zealand’s Jessica Macaskill fulfilling the role of assistant coach, in addition co-ordinating matters; the group arrived on Chinese soil on Thursday 28th June and departed on Monday 9th July. First on the itinerary for the contingent that comprised Australia’s Finn Luu, Nicholas Lum and Chermaine Quah, alongside New Zealand’s Nathan Xu, Zhou Jiayi and Vong Hui-Ling was a four day training camp at the Chinese Table Tennis College; an intense programme but one that was welcomed and opened young eyes. However, despite the detailed itinerary, there was time for a moment of reflection and a look back in time to time to the heritage of the sport. 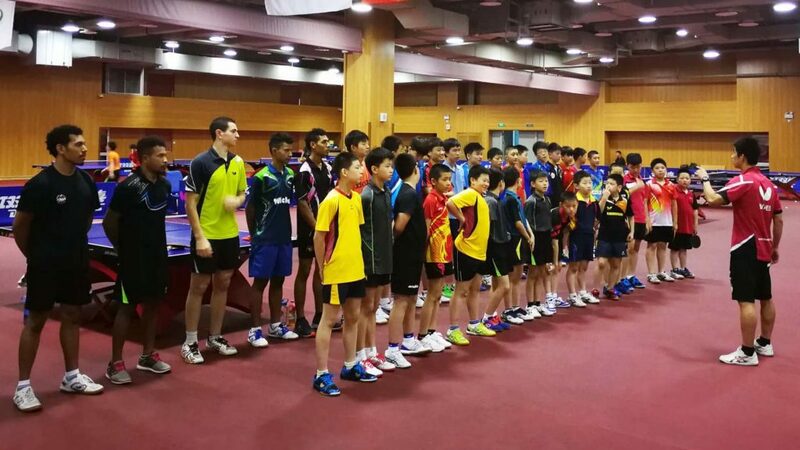 The group visited the recently opened, ITTF Museum before leaving for Taicang to compete in the ITTF World Junior Circuit tournament. Notably Nicholas Lum reached the semi-finals of the Hopes Boys’ Singles event, Nathan Xu advanced to the quarter-finals of both the Cadet Boys’ Team and Junior Boys’ Singles events. Partnering Japan’s Hina Kizuka, Vong Hui-Ling secured bronze in the Junior Girls’ Team event.